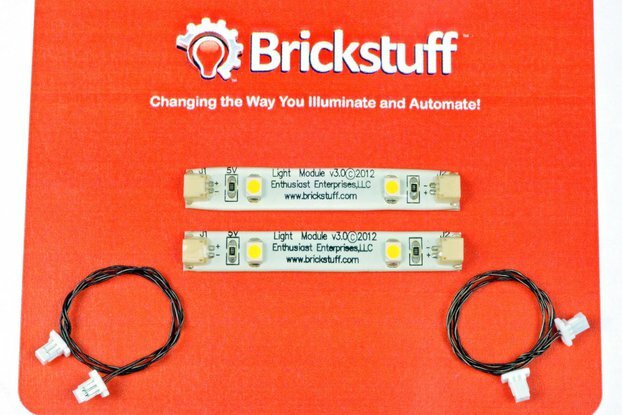 These modular Pico LED Light Boards will bring any project to life! 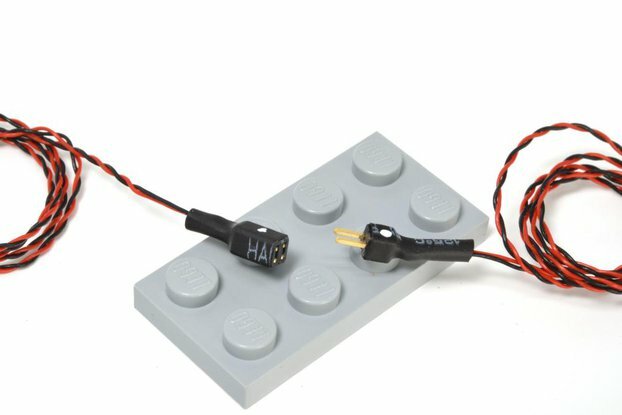 Use them in any LEGO® project, on any model railroad layout of any scale, in Department 56® or Lemax buildings, in dollhouses, or in any robotics project to add detail and interest and capture that “wow” factor. 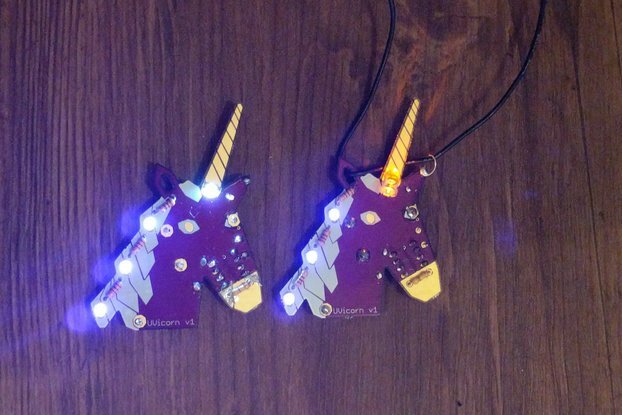 No electronics or soldering knowledge is necessary to set up these lights and start using them right away. Use the included adhesive squares to easily mount the boards to almost any surface—put them anywhere in even the smallest structures. 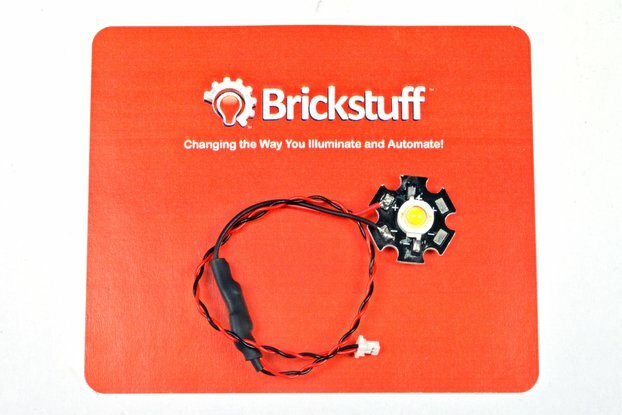 This kit includes eight lights, enough to light one large building or several smaller buildings. Because the lights are so small, they also fit well in model spaceships, or just about anything you can think of that needs a little light! 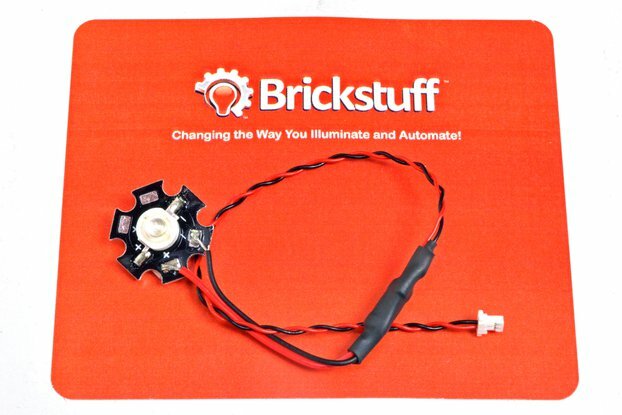 This kit also includes a battery pack, so you can be up and running right away. Use the included adapter boards to create chains of light boards or light strips (sold separately), and you can add light to even the largest model project-- everything is modular, and everything works together seamlessly. The included connecting cables are made from very thin and flexible wire, so you can easily hide them in your installation for added realism. Unlike other light modules that use 12V or 24V, these use 5V DC and are ready to use with any microcontroller or robotics project—no need for complicated resistor calculations (though if you use them with a microcontroller, make sure to keep in mind that all eight boards use about 100mA-- watch your microcontroller's current capacity)! The boards produce almost no heat, allowing for installation in the smallest spaces. 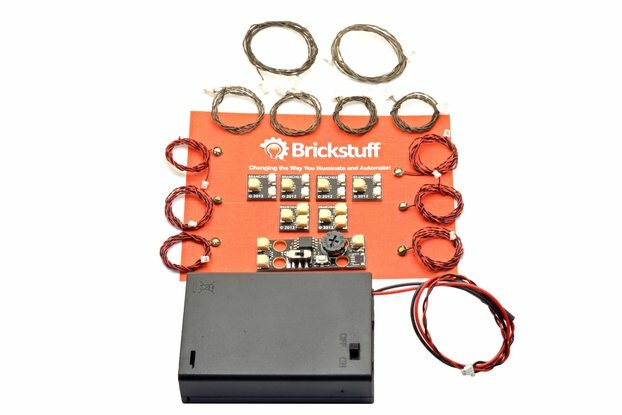 This kit includes: - Eight Pico Light Boards with warm white LEDs and adapter boards to connect them to a 5V DC power source. - One 3xAA battery pack with on/off switch. 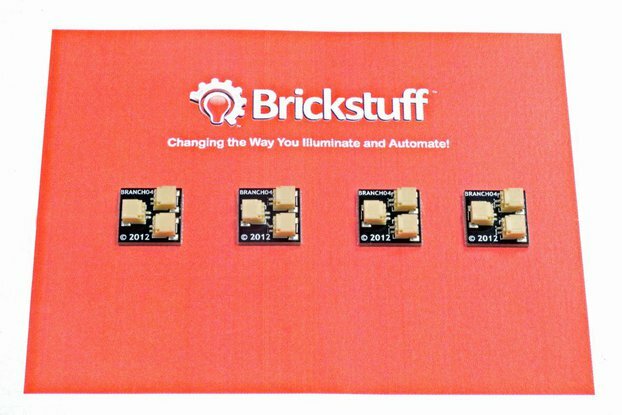 - Seven adapter boards to allow connection of the Light Boards in various configurations. 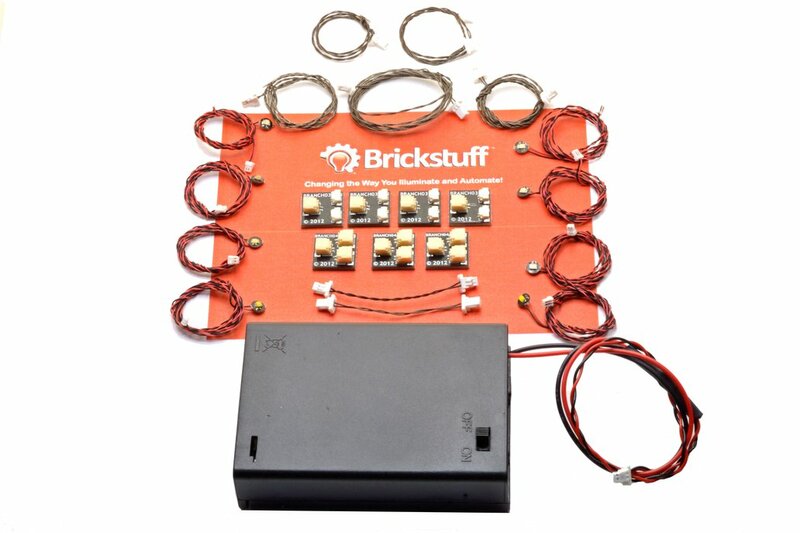 - Seven connecting cables (three 24” cables, two 12" cables, and two short cables) to connect to power or other Brickstuff lights. - 16 self-adhesive squares allow mounting in just about any location or configuration. - Perfect for all hobby applications-- small size along with thin and flexible wire makes for easy installation into small spaces. - 5V DC operation means the light boards are also compatible with microcontroller or robotics projects (Arduino compatible)-- just make sure to observe the total supported current of your microcontroller output pins! If you want to use your own 5V DC power source, just snip the connecting cable from the battery pack and connect to your own source. 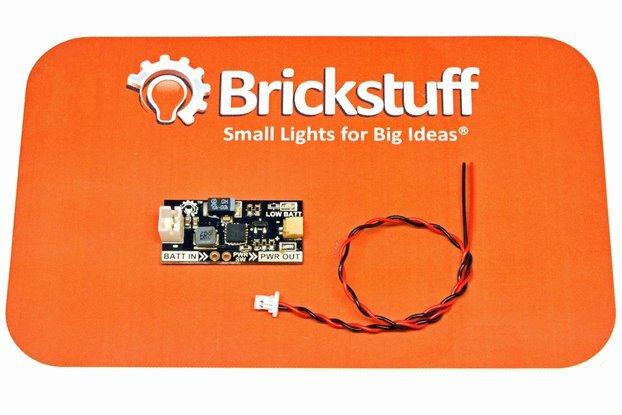 - No soldering or electronics knowledge necessary—be up and running in minutes! This kit includes everything you need. 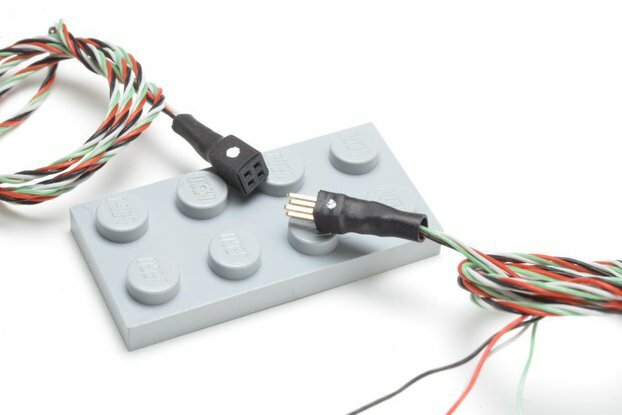 The connectors on the light boards are small enough to fit through LEGO® studs (no cutting or splicing! ), making them perfect for use with any LEGO® creation. But you don't need to limit your installation to LEGO®-- the self-adhesive squares (included with the kit) can be used to mount the lights anywhere you need them, inside just about any creation.